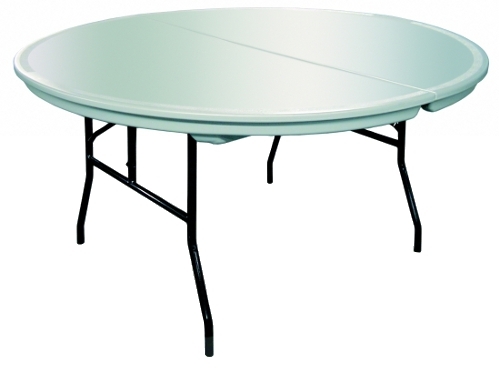 This 72" diameter blow molded plastic folding table is the best in its class. Best of all it features wishbone style legs. Most round plastic tables have straight legs. This table's wishbone legs are much more comfortable than straight legs. This table has passed testing of weight limits up to 3500 lbs. The table top is constructed from 2 half circles that have been welded together. This table does NOT fold in half. Holds Up To 3500 lbs.